A huge thank you to Mrs. Limber and her grade 6/7 class from SMS for teaching our students about Snow Science! 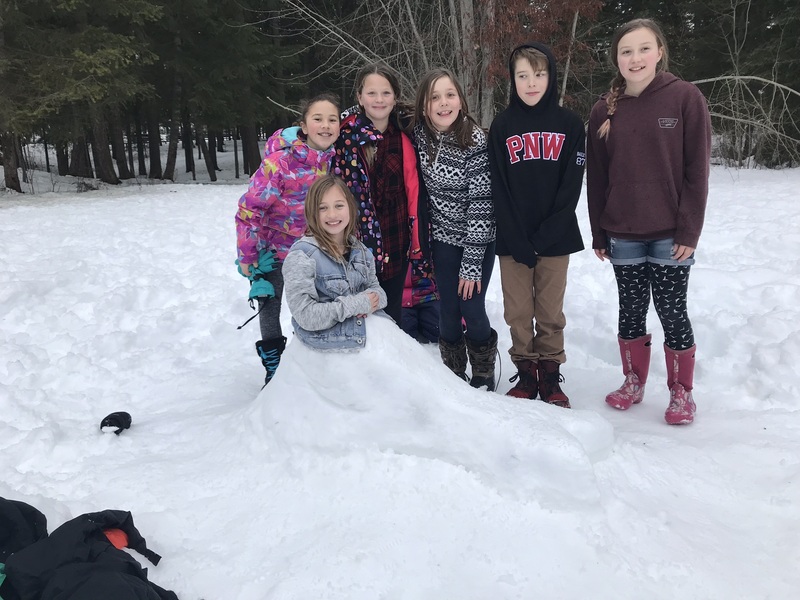 Students participated in a variety of activities from using avalanche beacons, to exploring animal tracks, to playing predator-prey games. 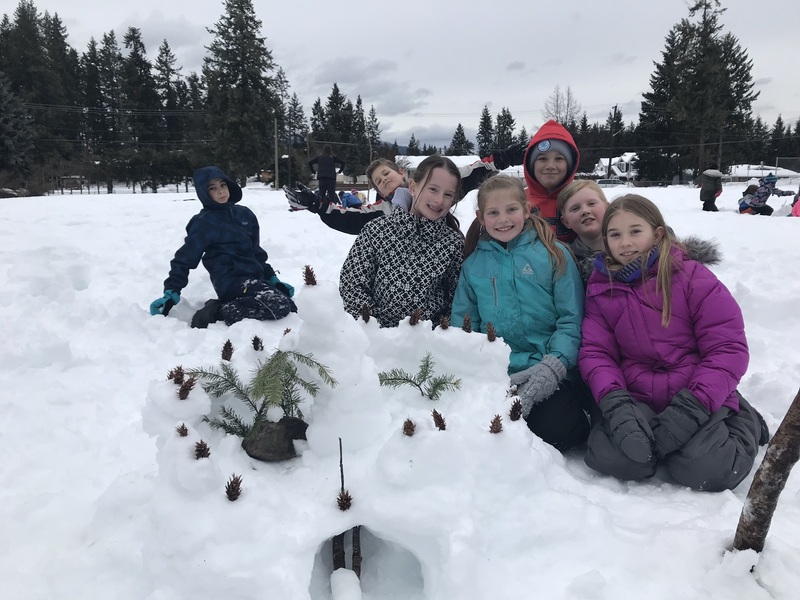 A big thank you also goes out to Molly Cooperman (Wildplay School Coordinator) and Mrs. Meerza for creating this amazing opportunity to learn outdoors. Excitement filled the air on Feb 8, 2018 in anticipation of Mr. Harrison arriving to take the first official GT ride down the newly named “Harrison Hill”. The entire school braved the rain and cold to watch their recently retired beloved principal in action. 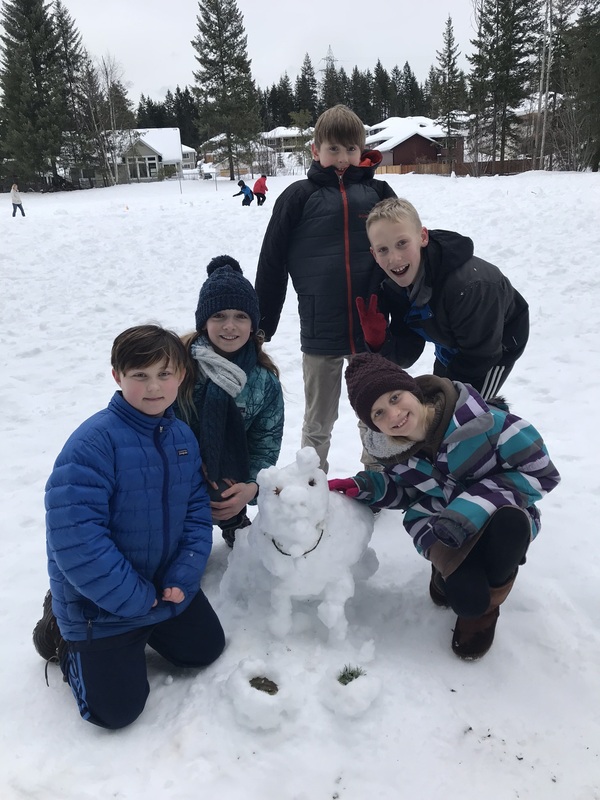 After getting stuck in some heavy snow midway down the hill, students couldn’t resist the opportunity to help Mr. Harrison out. A mob of 100+ students ended up pushing him all the way to the bottom. It was a truly special event with smiling faces all around. 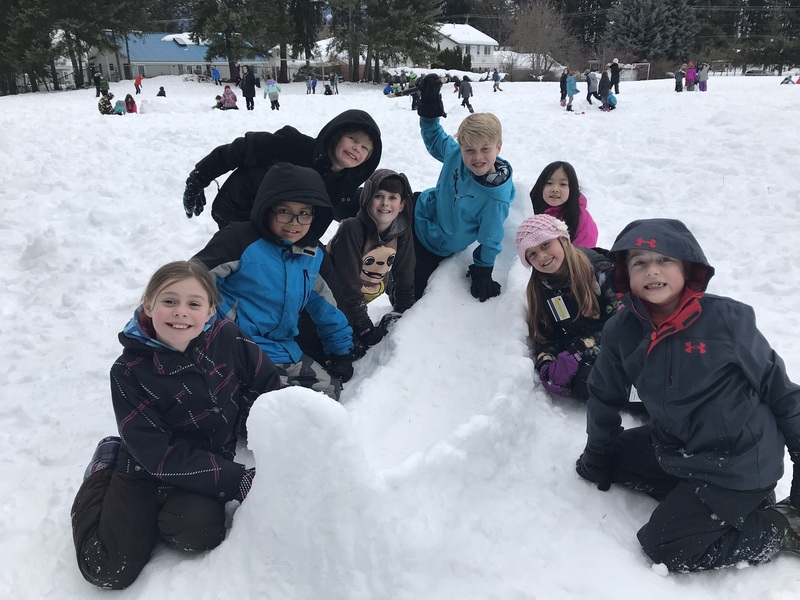 So what do you do with 20+ cm of snow at Hillcrest Elementary? 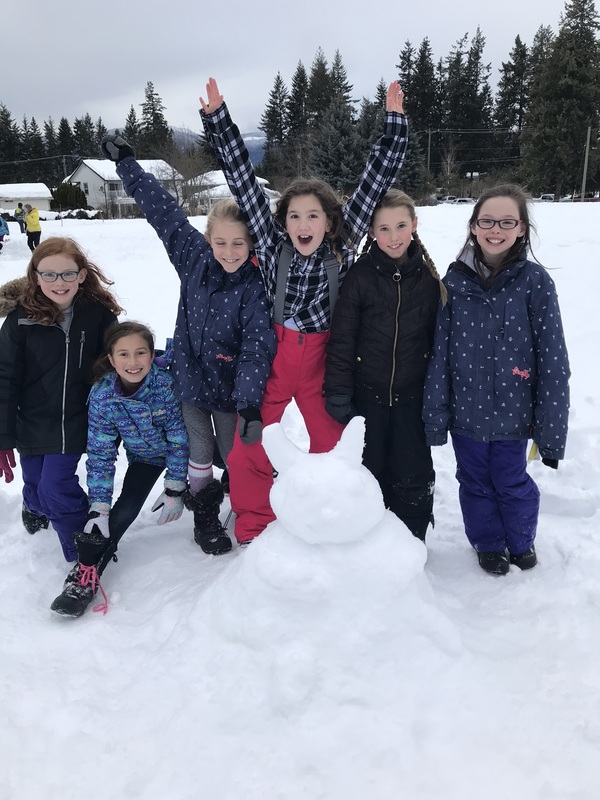 Have a snow sculpture competition of course! Thanks to everyone for participating and coming up with some fantastic creations. Hillcrest students had a wonderful time skating over the past few weeks with many students seeing a huge improvement over that time. A big thank you to Jennifer Dies and our grade 5 student coaches for the lessons offered to our Grade 1-3 classes.